About 47 jobs in Research & Development sector. Gartner needs a Business Development Directorto proactively grow business across a portfolio of Large Enterprise accounts. If you enjoy solutions selling and have a sharply honed consulting style, this is your chance to be an integral part of our own growth and revenue achievements. The Business Development Director will be based in Singapore and secure new business for Hong Kong. If you enjoy creating new business opportunities and have a sharply honed consulting style, this is your chance to be an integral part of our own growth and revenue achievements. Outstanding compensation. We offer a competitive salary and generous benefits; including a robust time off allowance and great “perks”. Applications must include a cover letter stating current and expected salary. 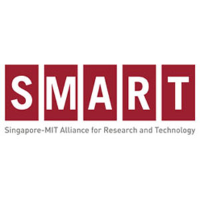 involves the development of SimMobility, a microsimulation platform that integrates and links together various mobility-sensitive behavioral models with state-of-the-art simulators to predict impacts of mobility demands, infrastructure changes, and evolving transportation options on the deployment and delivery of people, firms, services and freight. We are looking for an experienced research engineer to work on this project. Degree in Transportation Engineering or Geographical Information Systems or related qualification. Able to work independently and detail oriented and team player. Interested applications will have to submit their full CV/resume, cover letter and a list of three references (name and contact information). We regret that only shortlisted candidates will be noticed. •Administer and support network infrastructure and configuration, maintenance of hardware and software, applications and IT infrastructure. •Provide helpdesk support to all users. •Manage email configurations and issue troubleshooting for Outlook. •Respond promptly to incident. Evaluate, conduct root cause analysis and implement preventive measures. •Planning and updating windows patches and ensure that latest patches are applied. •Maintain and updated documentation of IT systems. •Perform asserts and inventory management. •Diploma/Degree in Computer Science/Engineer or equivalent. •MCSA/MCSE and/or VMware certification is an added advantage. •Must be knowledgeable, with hands on experience in troubleshooting and MS Window administration. •Experience with Linux, Solaris and OpenBSD systems is preferred. •Strong technical knowledge of infrastructure technologies, router, firewall, application administrative and maintenance functions. •Knowledge of PowerShell, Bash or other scripting languages for automation is a plus. •Able to commit to work beyond office hours and on weekends as and when required. •Good communication skills and a team player. •Assist in any ad-hoc task or project as assigned. •SQL Server experience with ability to create stored procedures, triggers, etc. •Someone with a minimum 2 year experience in the criteria listed above. •Self-motivated team player with excellent organizational skills. This position is based at Sungei Kadut Loop. Transport will be provided at Yewtee MRT Station. •Perform related duties/special projects as requested. •Must be able to work with all levels of management, adapt quickly to changing circumstances, work independently, manage multiple projects simultaneously, organize workload to meet deadlines in a fast-paced environment, and clearly communicate in writing. •Experience with SAP is a plus. Interested applicants will have to submit their full CV, cover letter and a list of three references (name and contact information). We regret that only shortlisted candidates will be notified.